Tonight's show was in front of a packed crowd of 400 people. The crowd loved Strong. He hit a Sick Kick to win it. Matha was actually the face here. He hit a huge Rock Bottom backbreaker, but Clark was able to survive and hit a famouser to win. This was one of the better matches on the Florida loop this year, with hard-hitting chops and strikes. 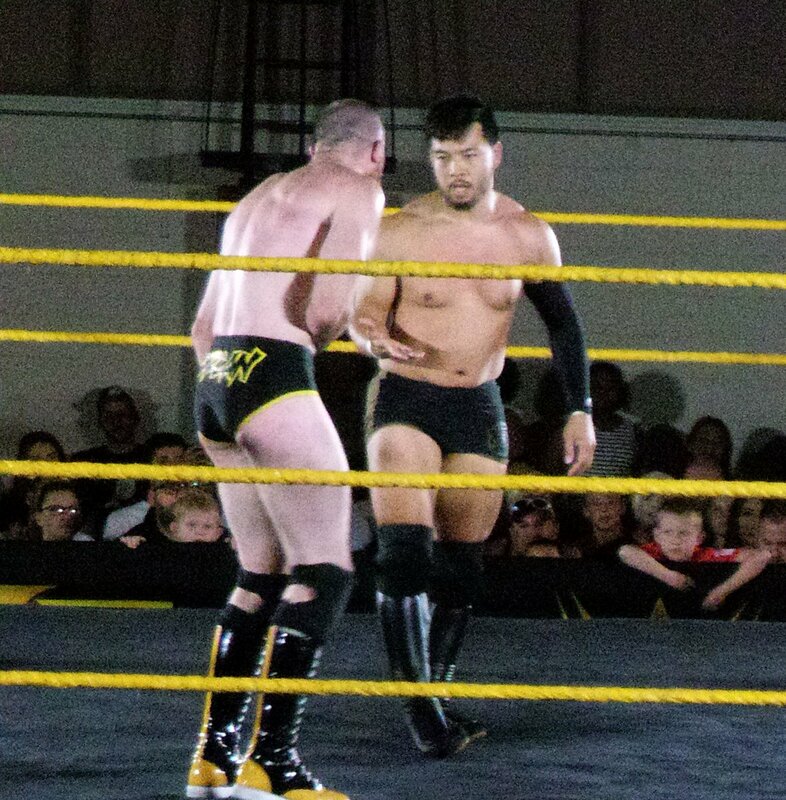 Itami looked great and Lorcan is always the most intense wrestler on the card. 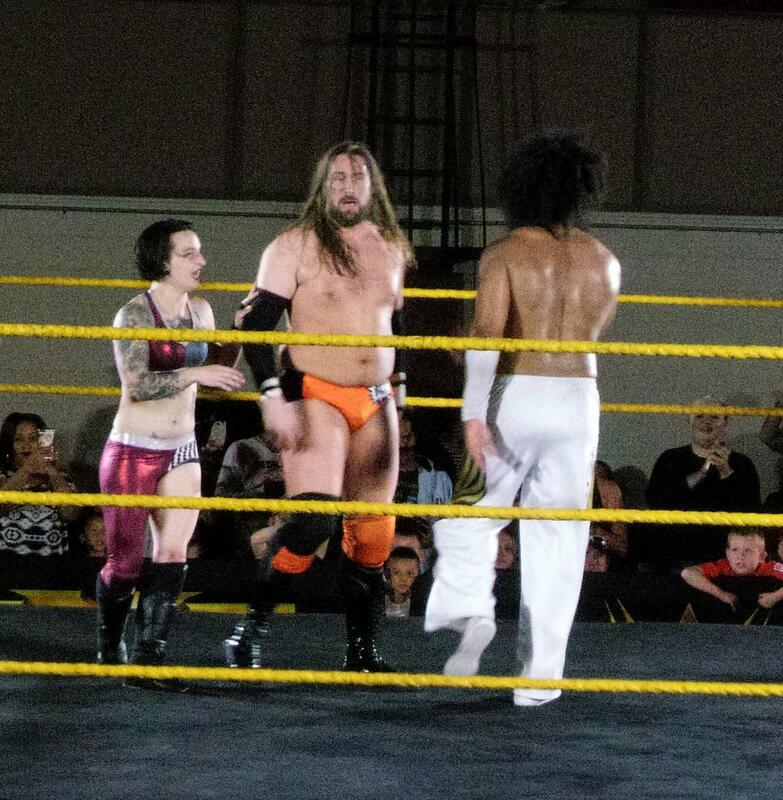 Itami won with the GTS. Berenato won with an enzuigiri after they had countered each other with a few near falls. - Tye Dillinger assisted Kayla Braxton in naming who won the WrestleMania raffle that's been going on this month down here. After they named the winner, we heard those guitar strings and The Straggler (The Drifter under a mask) taunted Dillinger and the crowd. Riddick Moss then joined The Straggler (or Straggs as he called him) and wanted to take on Dillinger as well. Dillinger then asked if anyone in the back wanted to team with him and that led to the next match. This was the most exciting match in Florida so far this year. 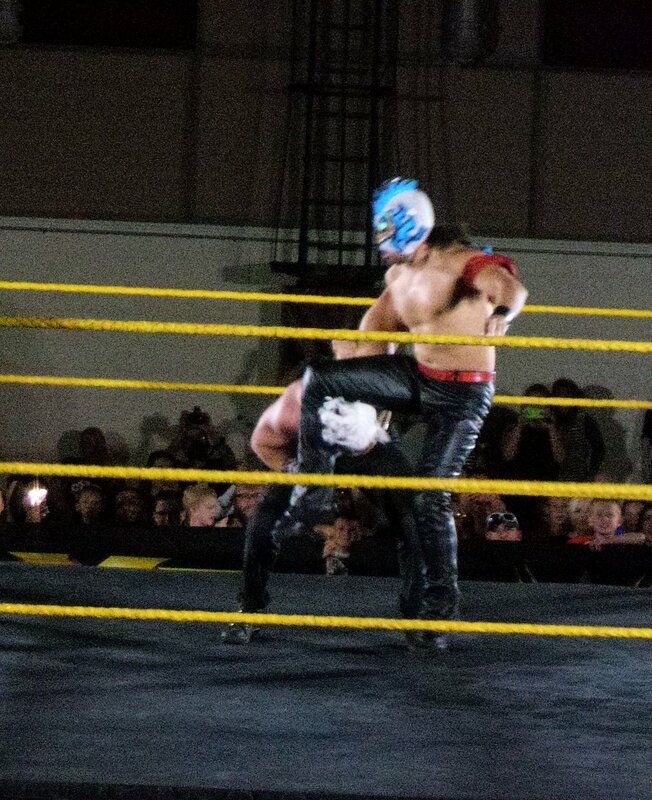 Nakamura tried to remove Straggler’s mask, but there was a second mask underneath, so Nakamura put the mask on himself and proceeded to do some excellent lucha with arm drags, rolls, and he even teased a dive. Moss snatched the mask off Nakamura and Nakamura was devastated. Solid action followed and a Kinshasa won it for the good guys. Williams used nice looking power moves. Dawkins caused a distraction, which allowed Ford to steal a quick pin. Moon won the match with a sit-out driver of some type. This had action all over the place. Riot hit a dive to the outside. Ohno and Dain had a slugfest. Jose took the hot tag and hit his wind-up punch on Wolfe to win and send the crowd home happy.